Judicial independence is generally understood as requiring that judges must be insulated from political life. The central claim of this work is that far from standing apart from the political realm, judicial independence is a product of it. It is defined and protected through interactions between judges and politicians. In short, judicial independence is a political achievement. 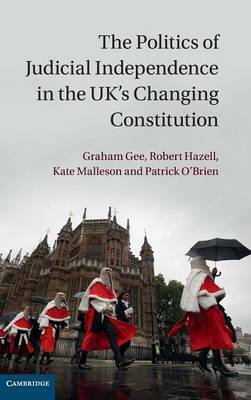 This is the main conclusion of a three-year research project on the major changes introduced by the Constitutional Reform Act 2005, and the consequences for judicial independence and accountability. The authors interviewed over 150 judges, politicians, civil servants and practitioners to understand the day-to-day processes of negotiation and interaction between politicians and judges. They conclude that the greatest threat to judicial independence in future may lie not from politicians actively seeking to undermine the courts, but rather from their increasing disengagement from the justice system and the judiciary.